From tips and techniques to learning new crochet stitches you can't go wrong with a good crochet book to help guide you along the way. Some of the best crochet books are those that help us understand how to crochet new stitches and take those techniques to the next level by crocheting afghans, hats, scarves, toys and other items. 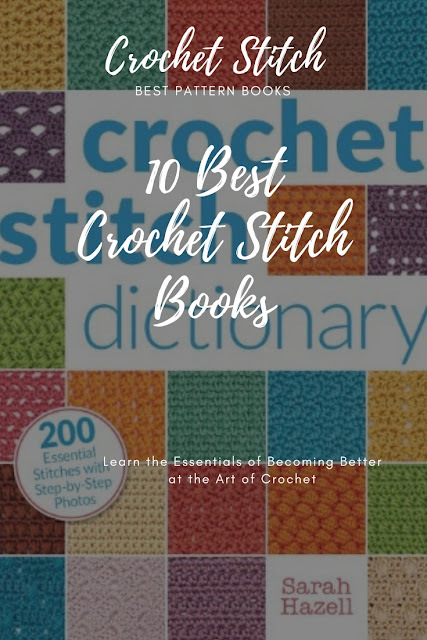 Take time to read the reviews and decide which book works for your skill level in crochet. Whether you are new at crochet or have been crocheting for years and want to try new techniques, this is a must have resource with everything you need to know about crochet! Over 1,000 photographs, step-by-step techniques and ways to fix mistakes, shape garments and answers to several of your crochet related questions! Crochet tip - To keep yarn from tangling as you work with two skeins, place one skein on each side of you. The first time you turn your hook, turn it counterclockwise. Next time, turn it clockwise. Repeat. A must for crocheting this dictionary provides information for new crocheters and experienced crocheters. The book offers 200 detailed crochet stitches with a detailed, written, charted and clear photo instructions. This essential book presents 10 color-coded stitch sections: Basic stitches, Fans & Shells, Bobbles & Clusters, Spike stitches, Post stitches, Mesh & Filet, Cable stitches, Tunisian stitches, and more! This will be a go to book once you have it you will continue to return to it time and time again for explanations when creating a crochet project. There are over 350 Stitches available in this crochet book. You'll never run out of things to crochet with this one! Find step-by-step instructions for more than 350 stitches, from easy to advanced, including shells, fans, clusters, bobbles, and more! Truly a dictionary of stitches, this book is not based on gauge but on multiples. Colorful, clear photography presents each stitch in a 2 1/2 x 3-inch swatch format which is ample, along with the stitch instructions, for learners from beginning to advanced skills. Readers will probably be surprised to find the wonderful selection of familiar stitches, like the ripple or shell, with variations that they haven't seen before. It is a compendium chock-full of over 350 stitch techniques that will challenge crocheters to try their hand and hook at creating their own original designs. pe of device you are viewing on. One of the most complete pattern books available. While the thumbnail photos are small in the book there are plenty of stitches that come with complete instructions that are detailed and helps you read symbols and diagrams. It makes a great addition for any crochet library. A pictorial index displays thumbnail views of the designs for easy selection and navigation. This book provides a variety of stitches to try along with written chart instructions. The Tunisian crochet technique is very popular among a lot of crocheters. In addition to the basic stitch there are a variety of patterns with an interesting surface. Many of them look like knitted. Learn the basics of this technique in the introductory part and further explore a lot of possible stitch combinations. All patterns are explained in detail. A lot of pictures help to show where to insert the crochet hook. In addition each stitch pattern is given in a clear crochet diagram. Crochet edgings and borders complete crochet projects and add style and elegance on to items like towels, pillows, napkins and more. This book provides Step-by-step instructions and symbol charts put these 139 creative new border designs within reach for beginning and advanced crocheters alike. If you’re ready to chart your own crocheted course it offers offers plenty of helpful design advice, including how to choose an appropriate border for each project and how to incorporate an element from the main stitch pattern into a new border design. If you are new at crochet a beginners book is one of the best ways to learn stitches and techniques. Crochet For Beginners is the right book for beginners right through to advanced level crochets. We have also made crocheting for beginners easy to learn & follow along easily with step by step instructions & picture illustrations! Basics will be covered from crocheting stitches to advanced patterns making it easy for any crochet beginner to learn at their own pace. 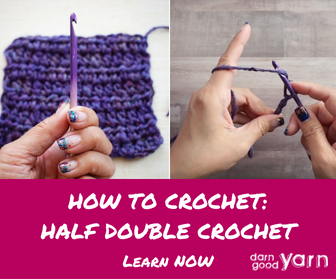 Crocheting for beginner does not need to be hard if you follow the right guide and the right crochet books! A guide for learning to crochet this book is a way to get visual with crochet. The art of crocheting is timeless-and its popularity is the surge of modern, sophisticated techniques like amigurumi and Tunisian crochet. So if you yearn for the skills to join this crafting revolution, this easy-to-follow guide is for you! With new patterns and even more techniques explained step by step, this updated edition is your go-to guide for learning how to crochet. The Granny Square Book, Second Edition: Timeless Techniques and Fresh Ideas for Crocheting Square by Square--Now with 100 Motifs and 25 All New Projects! If you want to learn more about crocheting granny squares and the techniques that is needed to make these timeless squares this book is for you! Since it was first published in 2011, The Granny Square Book has instructed and inspired more than 70,000 crocheters to make and create beautiful, stylish projects with these classic motifs. Now designer and author Margaret Hubert has updated her bestselling and beloved book to include 25 additional crochet squares (for a total of 100!) and 25 all-new projects to make, wear, and give.